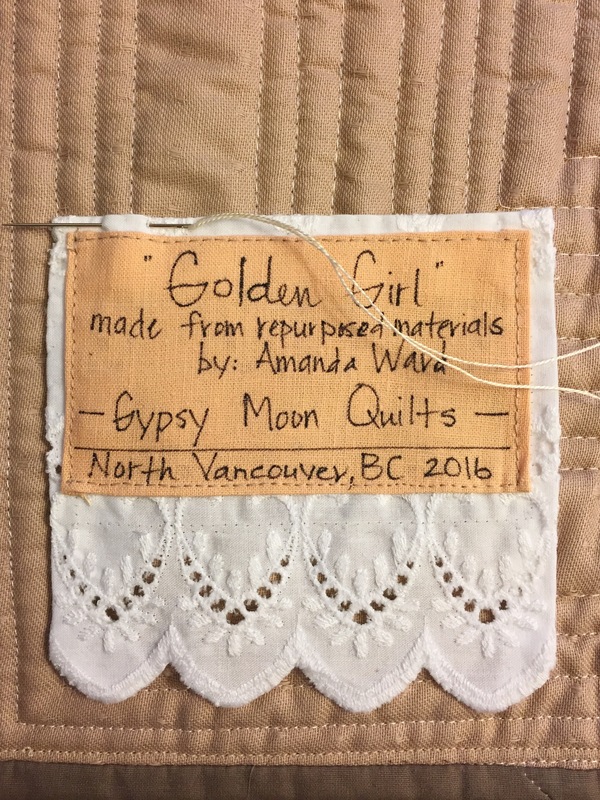 March 24, 2017 March 25, 2017 ~ Gypsy Moon Quilt Co. 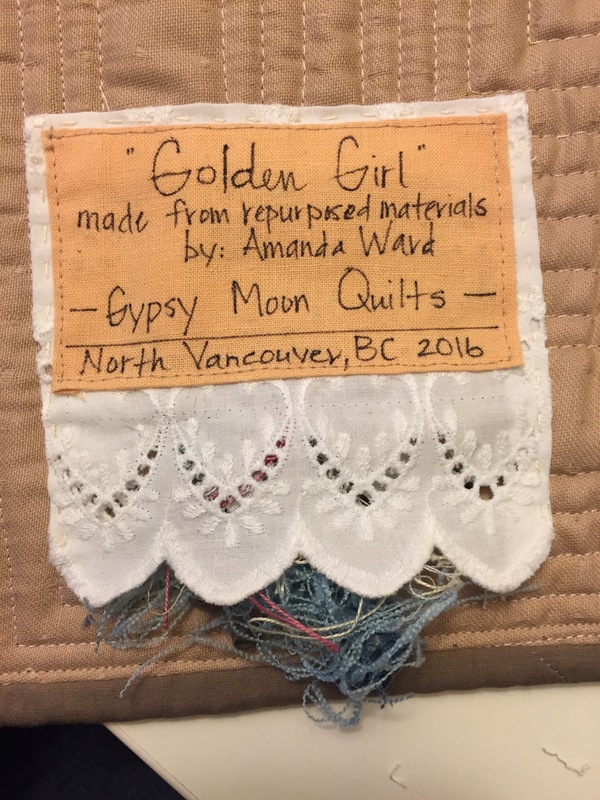 This is my second year participating in #IGQuiltFest, a daily photo challenge on Instagram, hosted by Amy Ellis from Amy’s Creative Side! Unlike the previous week-long #IGQuiltFest challenges, this year it’s running for the whole month of March! 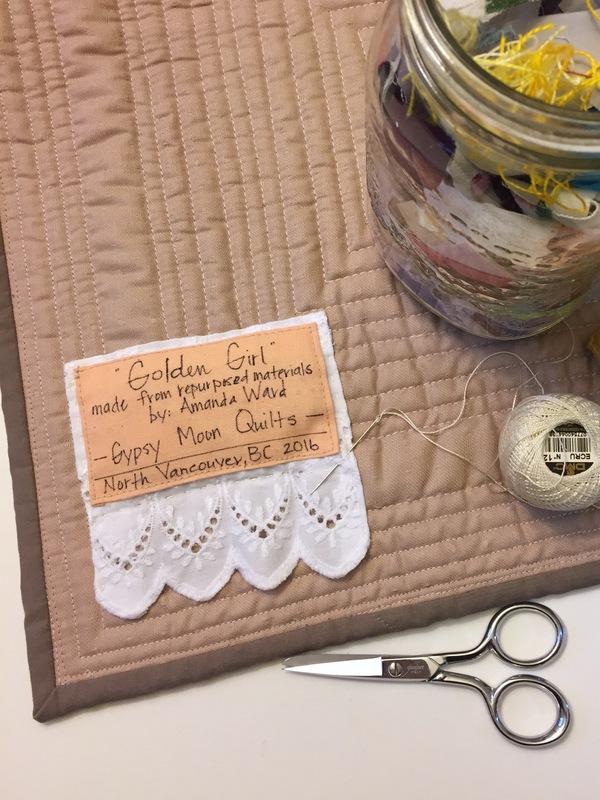 31 days of quilty photo prompts?! Heck yes!! So, this brings me to today’s prompt, LABELS! I tried to think of a way to incorporate using up all those threads and trimmings with making quilt labels. And guys… I came up with something that I totally love and I think you will too! Ready?? You stuff the labels WITH THE TRIMMINGS! Genius, I know! How to make Thread Stuffed Hidey Pillow Labels! Well, I’m sure there’s a better name for it, but ya know. Step 1: Make the label. Cut your fabric to size, adding a little bit extra for folding under the raw edges. 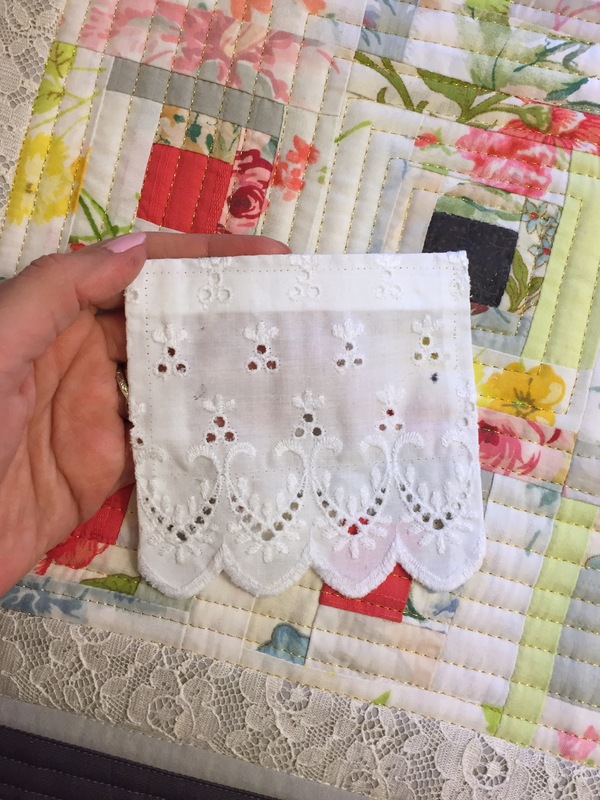 I have several cuts of eyelet trim from upcycled vintage sheets that I’ve been hoping to find a use for. This seemed like a perfect solution! 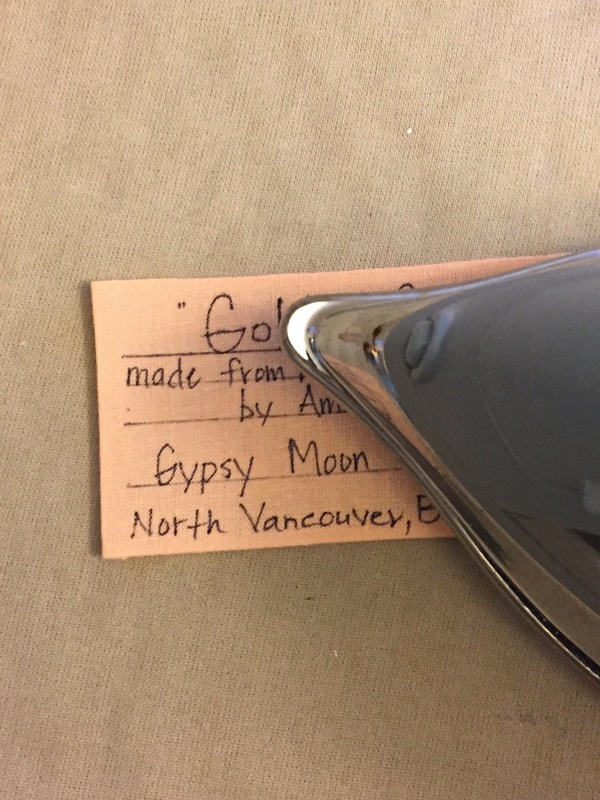 Step 2: Write the info on your label. Since my labels were being created from a textured material, I chose to layer a second, solid fabric over top. I used a Pilot FriXion pen, which has a thermo-sensitive gel ink that disappears when heated, to draw straight lines, then filled in my label info with a permanent marker. The FriXion pen completely disappears when heat is applied, but be wary (!!!) the ink does leave a lighter bleached looking line behind, so you definitely DON’T want to use it on darker fabrics where it could easily show up when you don’t want it to (see photo in step 3). Step 3: Sew label fabrics together. You would obviously skip this step if you’re only using one fabric for your label. FYI – you can see the white line left behind from the FriXion pen in the photo below. While it’s not so noticeable on lighter colored fabrics, it can be a very unwelcome outcome on darker colors. 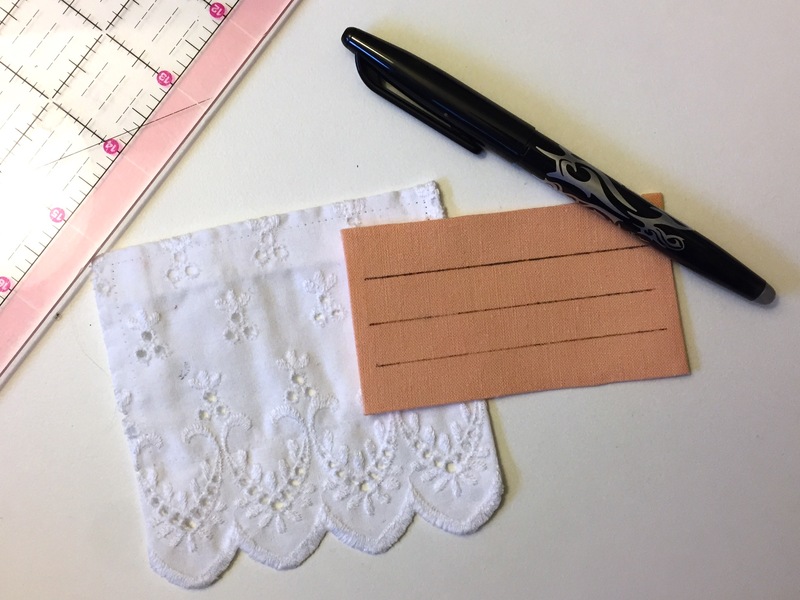 I’ve got my labels sewn together – time to add them to the quilt! Step 4: Attach your label. Flip your quilt over and pin, or glue baste, your label to the back of your quilt. Sew along the top and sides of your label only, keeping the bottom open. Make sure you don’t take your needle through all of the layers of your quilt. Step 5: Stuff your label! After securing the top and sides of your label, fill it with your threads and trimmings. The larger your label, the more you can stuff. The less filling you use, the flatter your label will be… or you can use more filling to create a 3D pillowy effect. If you’re making a wall hanging, you’ll want to use less, so it hangs flat. Step 6: Finish your label. Close up your thread pillow by sewing the bottom edge of your label to your quilt. Take a step back and admire your super sustainable thread stuffed hidey pillow label because you, my friend, are allllll finished with that baby! Can you think of any other sustainable ways to hide your thread cuttings and fabric trimmings? Let me know! 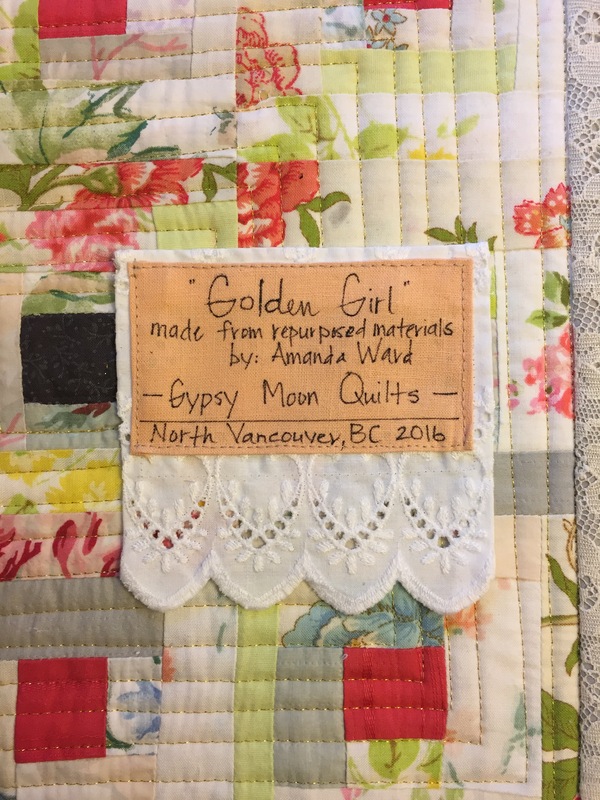 To read my post from #IGQuiltFest 2016, click here! BTW – be careful with those frixion pens and markers, they can bleach your fabrics. Now, on top of keeping all my fabric scraps, I may just need to store my leftover threads!! I think I need a bigger place!! Thread trimmings! Thanks for the tips on using the Frixion pens. I’ve never tried them. 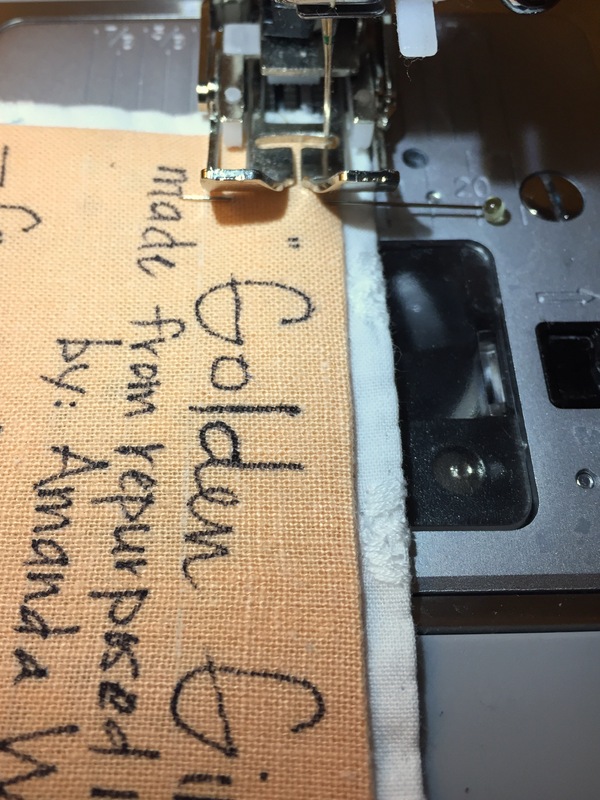 The eyelet material is so perfect for framing the label. Somehow I missed entirely that you had stuffed the label with thread and trimmings; very clever!